Where to Buy Gilbert 705 Nighthawk, Gilbert 705 Night Hawk Bug Zapper - $519.95 for Sale with Fast Free Shipping! 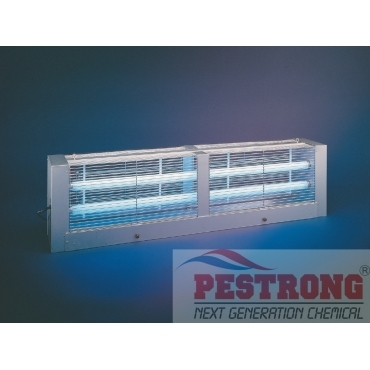 Gilbert 705 Night Hawk Bug Zapper uses for intercepting night-flying insects in most shipping, receiving, and warehouse areas, when the task cannot be accomplished with low, wall mounted traps. By buying this product & leave product review you can collect normally 51 reward points as a voucher of $5.10(1%). Gilbert 220 Guerrilla Multi Purpose..
Insect Attractant: Two standard Osram Sylvania F40/350BL (40 watt) lamps contain superior 350BL phosphor. Replace annually for continued performance. Eyebolts included for ceiling hung installation (8-10 ft. high or 6 inches above product stacks). Six foot, 3-wire grounded power cord. Standard 115v/60hz. Interlock switch automatically shuts off trap when guard door is opened. FIVE YEAR WARRANTY from Manufacturer: (Excluding lamps). Stainless Steel version #705SS is not available. Large and in charge. This light trap will catch a massive number of bugs. I have used other light traps, but they are either too small to catch the dense population of bugs in my area, or they are too discreet and fail to catch enough bugs to justify they're price tag. This one is very expensive, but there is nothing else that comes close to this trap's effectiveness. If you live or work in an area that has a lot of bugs, get this trap. I guarantee you will not regret it.